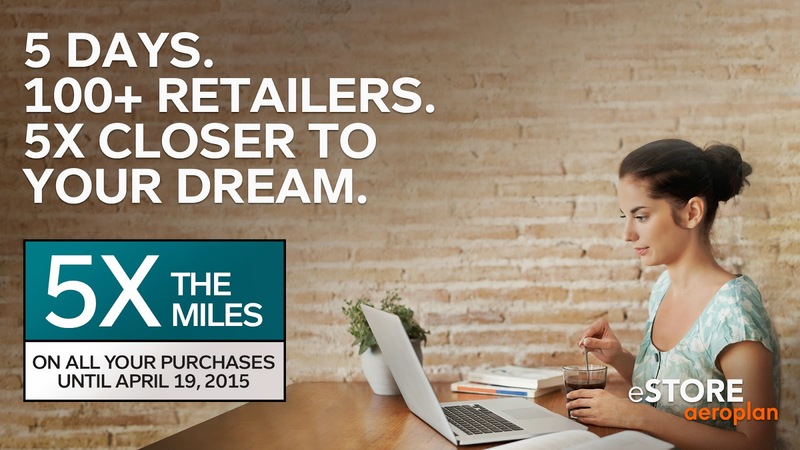 Similar to the promo a few weeks, Aeroplan's eSTORE is offering 5 times the miles on all purchases made via the portal until April 19th! What isn't similar is that this time the offer is open to all Aeroplan members, not just those who haven't made a purchase in the last year as we saw in that previous promotion. All members who shop through Aeroplan’s eStore at www.aeroplan.com/estore from April 15 to April 19th will get 5X the miles on all their purchases. any idea when this promo will run again?